A new report confirms that UK patients are missing out on new cancer treatments compared to similar countries, such as Germany, France and Canada. The research has been commissioned by two UK cancer charities, Prostate Cancer UK and Breast Cancer Now, who have united to call for a complete overhaul of the UK system. They say the UK needs to reform its system to allow direct negotiations with pharma companies on drug prices. This is currently not possible, and the charities say is at least part of the reason why access is lagging behind other countries. However the UK industry has responded quickly to the report, saying it is ‘too simplistic’ to say new pricing negotiations would fix the problem, pointing instead to flaws in the appraisal system of cost effectiveness watchdog NICE. Breast Cancer Now and Prostate Cancer UK say cancer patients in the UK’s National Health Service are missing out, naming Roche’s breast cancer drug Kadcyla (trastuzumab emtansine) and Janssen’s Zytiga (abiraterone) among the new treatments where access has been limited. The International Comparisons of Health Technology Assessment report – published today – reviewed the drug systems and the availability of breast and prostate cancer treatments in England, Scotland and Wales compared to five similar countries: Germany, France, Australia, Canada and Sweden. 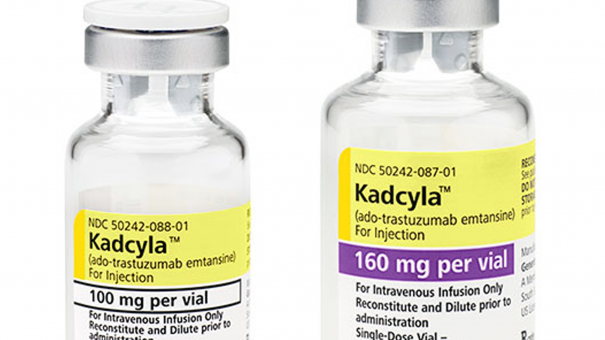 It shows that Roche’s Kadcyla – a drug that can offer women living with incurable secondary breast cancer an extra six months of life on average – was launched two and half years ago and is now available in Germany, Canada and France. However it is only available through the Cancer Drugs Fund in England (CDF) and is not available at all in Scotland or Wales. The comparative report looked at the roles of ‘Health Technology Assessment’ (HTA) bodies – such as NICE in England and Wales and the Scottish Medicines Consortium (SMC) in Scotland – in assessing which new drugs are made routinely available. The charities says the UK needs to learn from other health systems in terms of cancer drugs access. They point out that many other countries have separate bodies for determining clinical effectiveness and clinical effectiveness. In contrast in England, Wales and Scotland, NICE and the SMC respectively carry out both of these functions, but the charities point out that they don’t have any power to negotiate with industry on price. The new push from the charities comes just weeks after England’s CDF was re-launched. The CDF is now centred around a ‘managed access’ system, but both charities are concerned that access to new medicines in England may only get worse. They fear that because the new CDF puts assessment entirely back into the hands of NICE, access will go into reverse. They point out that NICE’s repeated rejections of new cancer treatments was the reason behind the previous CDF being set up in late 2010. Breast Cancer Now and Prostate Cancer UK are now calling on health secretary Jeremy Hunt to review NICE’s role, alongside activity to renegotiate the Pharmaceutical Pricing Regulation Scheme in time for 2018. They add that current methodologies should be reviewed so that they are able to respond effectively to the new generation of treatments that are on the horizon. The charities say that although UK systems have robust patient engagement, this isn’t leading to patient access. Benefits are assessed based on a small sample of measures, ignoring crucial aspects like level of fatigue (a common symptom of prostate cancer). Baroness Delyth Morgan, Chief Executive at Breast Cancer Now, said denying access to UK patients for these reasons was “totally unacceptable,” and said serious reform was needed. Baroness Morgan concluded by predicting that the CDF would not provide the change required, and called on the health secretary to restructure the system. Said the country needed a more streamlined system for assessing and appraising cancer drugs which makes the right decisions first time around. UK industry association the ABPI has responded to the calls from the charities. Dr Paul Catchpole, Director Value and Access, ABPI, agreed that patients in the UK faced major delays to cancer drugs access. But he said claims that this was largely because of the system’s inability to negotiate with pharma was ‘too simplistic’. “Companies engage in pricing negotiations with the NHS but without doubt there is room for more creative approaches,” said Paul Catchpole. “This is despite the UK already having some of the lowest prices for medicines among similar economies and a deal which has seen companies pay back over £1.3billion to the Government in the last 18 months to help keep NHS spending on medicines affordable. The concerns of the cancer charities – that some medicines will fail to get through the system – are real. The NICE evaluation programme hasn’t kept pace with innovation and relies too much on a basic cost effectiveness threshold for assessing value for money and which remains unchanged in over 15 years. 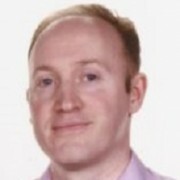 Paul Catchpole added: “The bottom line is that the system we have in the UK for assessing medicines needs to further evolve. There is hope that the Accelerated Access Review (AAR), expected to publish later this year, could help create a more ‘joined up’ approval and NHS access system. However the AAR explicitly excluded a review of NICE’s core QALY methodology, which means it is unlikely to yield the comprehensive solution the NHS, pharma and charities are looking for.